Time to catch up on some behind the scenes footage from the Dead Set Gemini guys as they call by Glasgow’s Subcity radio station. There’s mobility scooters, drunk girls and even the hip hop po-leeece show up. If only for the freestyle at the end you must watch. Shout out to Jee4ce, mad verses! Whether they choose to ignore him or not, Puretone remains one of the most outspoken voices in Ireland when it comes to hip hop. I caught up with the turned gospel rap icon to get some answers on his latest single and to squash some rumours on the beef tracks he’s encountered along the way. So tell us a bit about yourself Puretone, how did you get your name and what are you bringing to the Irish Hip Hop scene? All me self hyped, self proclaimed KING, and yet everybody is mad as if they can do it better than the TONE! Been in this hip hop thing for 6 years, promoting,managing, emceeing, just being a hustler but for the last two years doing it for a deeper purpose and that’s for GOD! At the moment I am a man that has a lot to say having seen a lot of stuff happening both locally and internationally. I mean by now you should know who makes the most noise in Dublin or rather in the hip hop scene in Ireland. The Tone is the answer for those who are ignorant enough not to know. Born in Zimbabwe, moved here in 2000 and immediately joined irishhiphop.com and then stepped into the live side of it in 2001. As a hip hop promoter I have worked with so many artists that everybody recognizes in Ireland as the for front of Irish hip hop. Every recognised name in Irish hip hop has had a Pure Tone experience at some stage in their rap career. Some have had beef, some have been partners in various projects, some I have promoted, some have been good friends and most just want to be the Tone. It’s all to me what I mean as a Pure Tone experience. You ain’t even Irish hip hop if you don’t have one. I mean who else can put 38 live acts on one stage in hip hop these days! You’ve just released your first single ‘Set It Off’ from your debut album ‘Prescribe Me A Soul’. Are you pleased with the current reaction to it? Nah in a way I am pleased but just like before, radio are acting like they don’t know what time it is. But nevertheless we press on. It’s like Corey Red says to get airtime these days you have to pay for your promo or lay with homo. I ain’t gonna lay with them radio presenters, it ain’t happening. I mean the streets will still know about me ’cause I am the hype just like every emcee now knows the single is out. The reaction I wanted is simple… Get people in the notion that ‘The Tone’ is back and he is setting it off! I am heading for that MOBO that’s what I want from the album. Not to be signed or sell millions I mean I know it will sell cause the industry’s rejection of me has lead me to this direction of being self sufficient and provide for myself what I need. I also wanted the people to know I can deliver and I did a track for the commercial fan not the fan who views me as a deeper entity to this rap thing. Oh you are probably wondering why the MOBO? ‘Cause no Irish act has won one. I want to be the first and I truly believe even the British need Puretomania and so does America and the rest of the world. And the beat is by Proud another person living in Dublin with big ambitions for Irish Hip Hop. Did you reach out to him for the beat or did he contact you? Proud is like the little talented brother I never had. He will probably surpass everything I do ’cause he is learning from the best around him. Our families have history and so from the day go, I was working with him. Even when he was with Unique I was there. But kid is growing and kid is blazing he got that HYPE factor! So anyway I demanded a beat and he demanded recognition for it so we both reached out! It’s good to hear you are working with young talent too, who else do you rate at the moment? It’s just the way it is and all the rest are just wannabes. With a number of live events under your belt and a few radio appearances, which do you get more of a thrill from, performing live or being in the studio? I rock pavements, stages, I’d rock your world at a live gig. I love being live. Before studios that’s what people had. That’s the hype of an icon! I think it’s fair to say you are the most ‘dissed’ man in the history of Irish hip hop with 11 recorded disses if I’m correct? Why do you think you are such a target to other emcee’s? I have like 20 something disses, I think for some it’s a phase. They love and hate The Tone! I don’t reply I don’t find any of them worthy yet. I think I am target ’cause I have that recognition thing going on in their minds, diss The Tone and you defo a IHH head or something. Then some try to test me, for instance Collie and Kounter Kulture are the only two that stand out as good tests. I didn’t fail I shrugged them off as I should maintain my Puretology status of not responding to haters! You certainly haven’t been a stranger to run ins in the past, with history concerning KRS-One, Collie and The D.H.T. boys. How are things looking at the moment with you and beefs? Also is there any truth behind the rumours you and Rob Kelly had a slight altercation in the studios during the recording of ‘Set It Off’? Irish hip hop and he just walked out and left. I mean what would he do? I am The TONE. You can’t beef with TONE! It’s all love I tell you. Give it few months you will hear I recorded a track with the guy and see pictures of the 30 year old wannabe rapper coming to church with me. That big kid needs to re check his music and confide with me. I’ll teach him how to stunt! It’s interesting that you named your debut album, ‘Prescribe Me A Soul’, as you’ve reached out to prominent figures in the gospel rap scene in Ireland. What would you say has attracted you to that smaller niche of hip hop? Was born doing Gospel but unlike many dudes these days who are talented I still keep my faith intact with he who was gracious enough to give me second chance when I didn’t deserve it. Oh yeah and KRS One’s fakeness made me realise hip hop as just empty and shallow with a lot of misguided values. In a way through it I am also finding myself and that’s the effect I want Puretomanina to have to those who are touched by it hence the album title. There is a lot of pain, emptiness and a lot of questions but the album provides for a prescription. Look around you, it’s like a sickness. Did you read about Saigon this week or the the RZA and Wu-Tang stuff and you telling me hip hop has a soul? Wait till the album drops. Is there any confirmation on collaborations for ‘Prescribe Me A Soul’ as I know you’ve been in talks with Akala and the MOBO nominee Jahaziel? Give it time, it’s never confirmed until the tracks are done and on the track list of the album. I also have a lot of options. Some major heavy weights. I am the hottest hip hop act from Ireland. Anything else you want to tell your fans? My fans are my team. My success is their success so I say let’s set it off. PURETOMANIA is the movement they are all waiting for LETS SET IT OFF! Make sure to check Roysta’s myspace for more madness and gig events at short notice. Nu-Centz – Why Be Modest? Tallaght man Nu-Centz has kindly uploaded his 2006 unreleased album ‘Why Be Modest?’ to give fans the opportunity to hear more of his back catalogue. 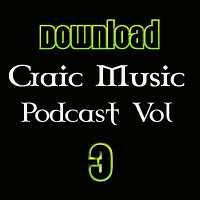 This is undoubtedly one of the best downloads of ’09 if you like your Irish hip hop. The three years that have passed since it’s recording do not appear to have affected the quality of this LP. 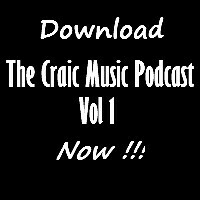 Features from Redzer, Terawrizt, Collie, GMC, Rawsoul, Diligenz, Ratman & an exceptional verse from Maverick Sabre should cement this as a classic within Ireland. The production is incredibly tight, Scooby, Danny Diggs, Sub-X and more lend a helping hand to accompany Nuie’s style. The beat choice is impeccable and really deserves a listen, Nu-Centz flows with ease and delivers some punchy verses on every track. 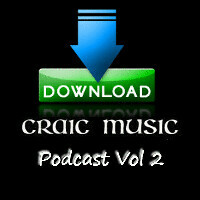 You’d be mad to miss this download!